“Just Thinking” (A little book, for when you have a little time, with some little writings, which may produce some little thoughts), was published in the latter part of last year and has already earned some interesting comments. One of the pieces (“Adrift”) was selected as a discussion point for students during National Poetry Month (USA). It was my goal to portray, in quite simple poetic verse, life as I have experienced it which, it is my belief, is not much different to how you are experiencing your life. 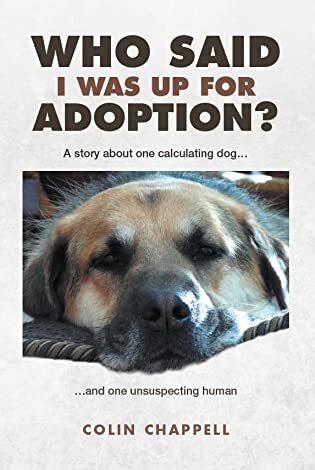 The reviews (amazon.com) repeatedly confirm that the reader was able to relate to a number of circumstances portrayed, which would suggest that my goal was achieved. Below is “Crescent Moon”, which is taken from the book. Does it portray a lost love, or is it just fantasizing over an imaginary love? Perhaps it is simply wishful thinking? And know that you’re there. For more information on “Just Thinking”, please select/click the book cover in the column to the right. I don’t believe in an afterlife but I wished that I did! For this poem stirs those inner wishes, those inner very private thoughts, that in an afterlife I will meet again all those dogs I have loved, and my very beautiful, precious Jeannie! Just Thinking is a very lovely book! Well done, Colin. Thank you Paul. I am very happy that it triggered some personal contemplation. Regards. Colin. There is beauty in the mysteriousness of this poem, along with a feeling of wistful longing. Like you said, is it a lost love, imaginary love or just wishful thinking?? Does make one wonder!